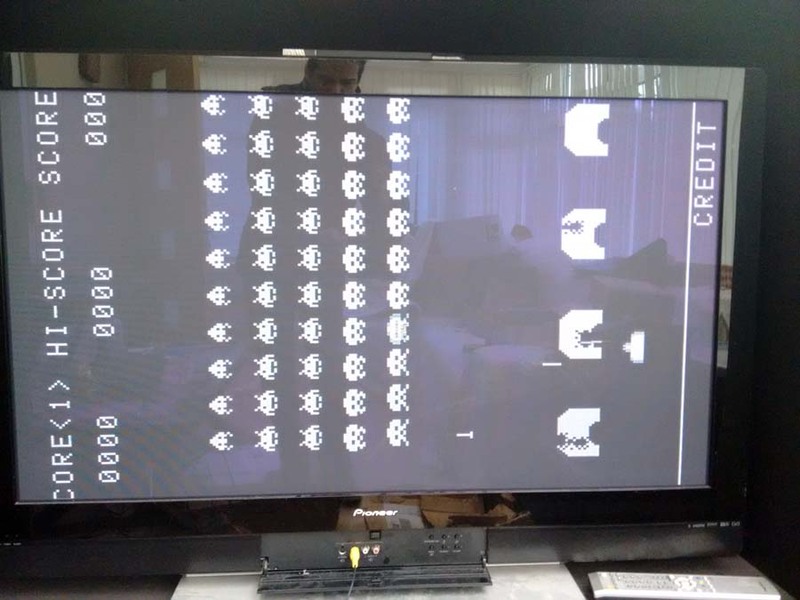 I was recently given a Taito 3-Layer Space Invaders boardset by a friend to look over. The problem was that it was not running, completely dead with a clicking sound coming from speaker (sounds like watchdog barking to me). I powered up the PCB stack on the bench and checked the status of the 8080 CPU. I could see right away from probing pin 19 (SYNC) that the clock circuit was not running. 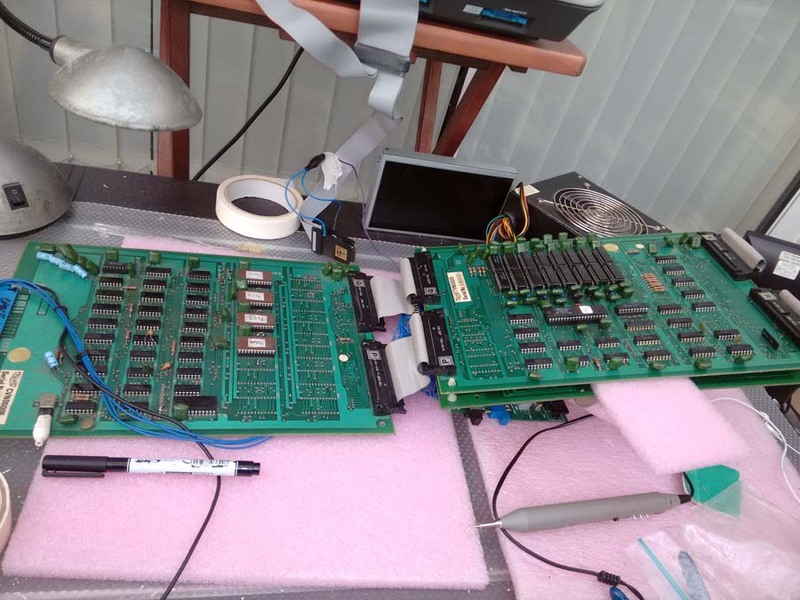 On the ROM board, I could see that the crystal was intact, so I checked the 74S04 (IC1) which I was sure was drives the clock next to the crystal. I found that most of the pins were floating. Replaced it and I now have a clock (note to myself, 74HC04 will not work), watchdog no longer barking but still no display. 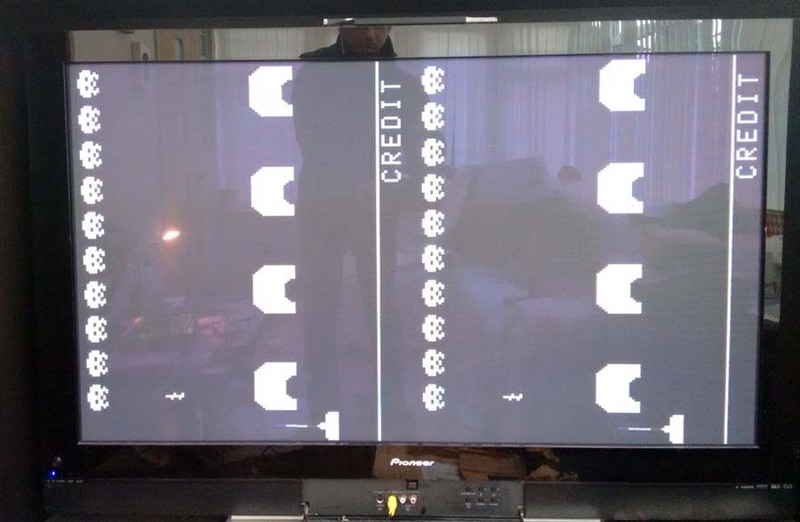 Note, I am using the composite input on my Plasma TV, as the PCB is composite only and not RGB. Space Invaders live to invade another day!